When Robert Pattinson appeared alone at the Golden Globes over the weekend in Hollywood, tongues were wagging that Kristen Stewart was absent from his side. 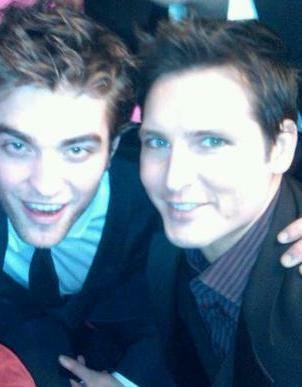 But eyewitness at the after-show party insisted that the “Twilight” star stayed faithful to his leading lady all night and instead spent most of his time hanging with his onscreen vampire dad Peter Facinelli. “He stuck with Peter for the first two parties, and was being a very good boy,” they added. Robert presented the award for Best Foreign Film along with Olivia Wilde at the ceremony.